• Outstanding grip, traction & skid control on muddy terrain. • Extra deep & Extra wide tread. • Long life even in difficult conditions. • Abrasion & puncture resistant performance. • Excellent on dirt roads with anti-stone trapping. 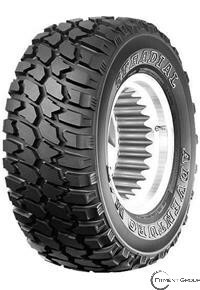 • Double & Triple Tread/Sidewall Protection.